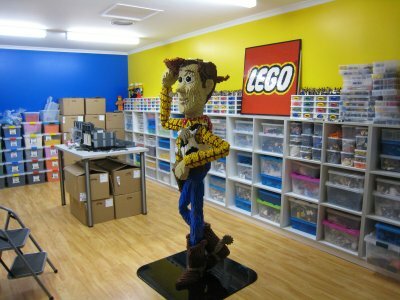 Ryan is one of only 14 people worldwide Licensed by the LEGO® group able to take commissioned work and construct something according to your unique needs. 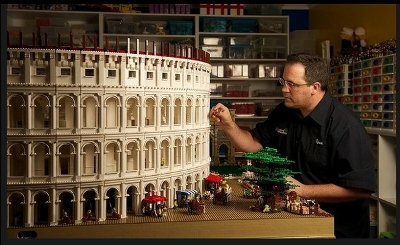 Ryan has decades of experience in building and using LEGO® bricks in unique and amazing ways. Ryan’s work is multi award winning and has been shown around the world. Ryan has done a lot of very different and unique models for various clients. Each clients is consulted with individually to determine their exact needs, once agreed, the fun begins whereby a solution is created to specifically match these needs. Ryan and his team do everything, from sourcing the bricks, the build, transport, you name it, it really is up to you to tell them what you want! or as in some cases where clients have said, just make something big in LEGO® bricks. Ryan and his team offer several unique concepts, for example have you ever thought of having something built at a trade show booth? You will have the ultimate conversation piece & ice breaker and will have a steady flow back of people to see how the model progresses, things like your latest product or corporate logo are ideal! Corporate logo you say? sure, imagine your logo made out of thousands of bricks? can do, check the gallery for some great examples. Imagine your logo built using time lapse photography! Want something different done in your office or need a team building exercise? Ryan has many different ways to liven up your event! Events such as corporate lunches and speaking engagements are a speciality they combine the hundreds of amazing fun team building and action packed activities that will surely liven up your next event. Some of Ryan’s models have broken attendance records in venues and gaining international press attention is easy when you work to Ryan’s standard and scale. Make an appointment to visit Ryan’s studio, you will be amazed by what is possible. Contact Ryan and his team today to find out more information and get started. One of only 14 LEGO® Certified Professionals worldwide, and the only one in the Southern hemisphere. The largest supply of LEGO® bricks in Australia to meet your timeline. Models able to be shipped anywhere worldwide. Not just a builder, an entertainer, making a model is just the beginning.